The next time you sign into iCloud(s aapl) on the web, you might need a little more information to actually use the iCloud apps. AppleInsider reports that Apple has started rolling out two-factor authentication, which beefs up security for the web-based suite. Signing in to iCloud with your Apple ID will get one foot in the door: To enter all the way, you’ll need a four-digit code from a trusted device. It’s possible that this rollout is in the early stages, however. I just accessed iCloud without being prompted for a second code, for example. But after receiving a tip on the new security feature, AppleInsider confirmed the two-factor authentication; for some Apple IDs it was required while others sailed right though. 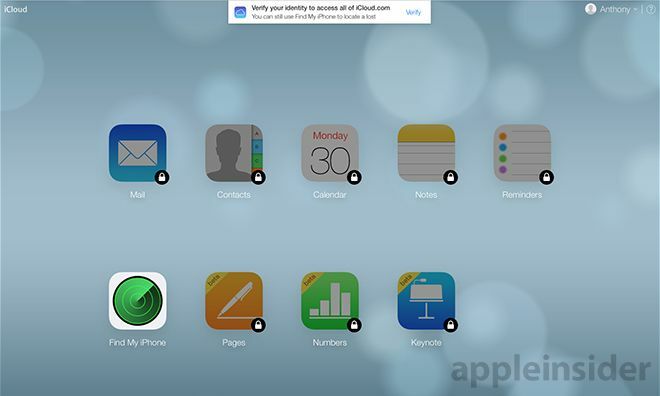 Don’t be surprised if you don’t see it on your own iCloud account just yet then. The idea of adding a second security layer for access certainly isn’t new. Google(s goog) has long offered the ability to use two-factor authentication for its apps on the web and for Android. In those cases, it is an opt-in function. Apple hasn’t yet made it clear if it will allow users to decide if they want two-factor authentication or now. Based on AppleInsider’s testing though, I suspect it will be made mandatory. It had better not be made mandatory.